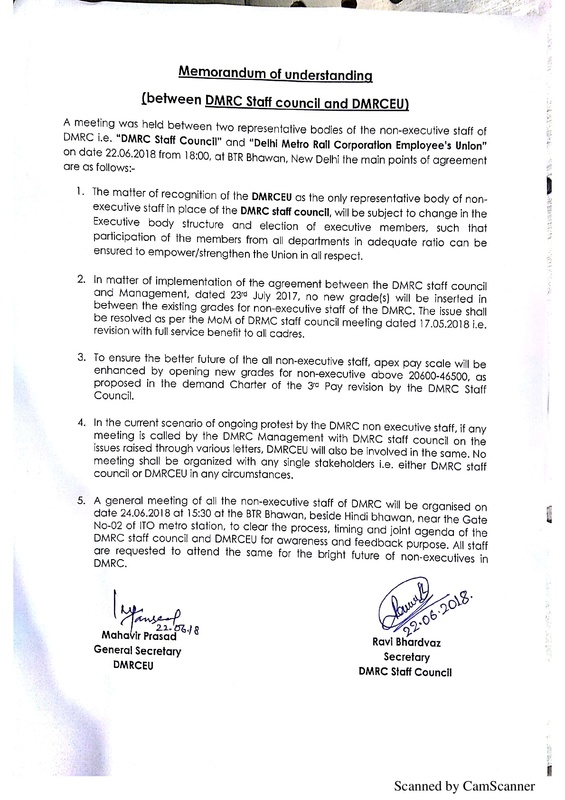 To recognize DMRC Employees Union by the DMRC management. To implement memorandum of undertaking signed between Management and staff council in letter and spirit. To implement Schedule-A PSU pay scale and allowances for non-executive employees in line with executive employees. To restate all terminated employees alleging fake charges under autocratic policies of the management further to take appropriate action against the official responsible for a huge loss of INR 4000 crore to DMRC due to irregularities in Delhi Metro Airport express line project. 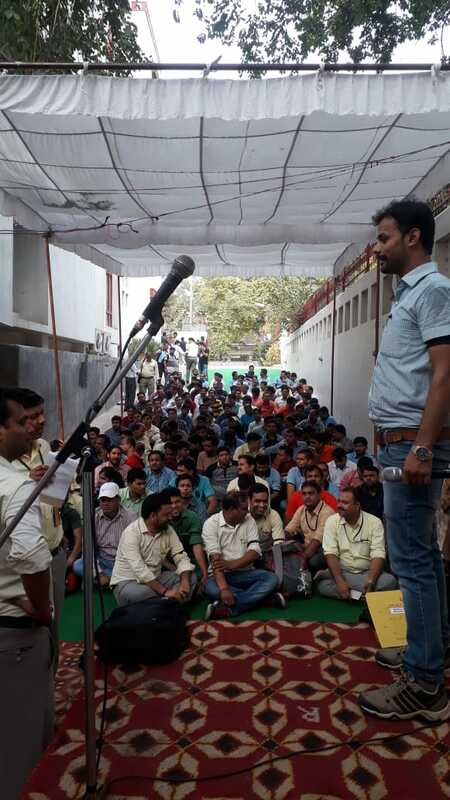 DMRC employees union further says that at every time DMRC tells that there is a budget problem but the major question arises that who is responsible for loss of INR 4000 crore? 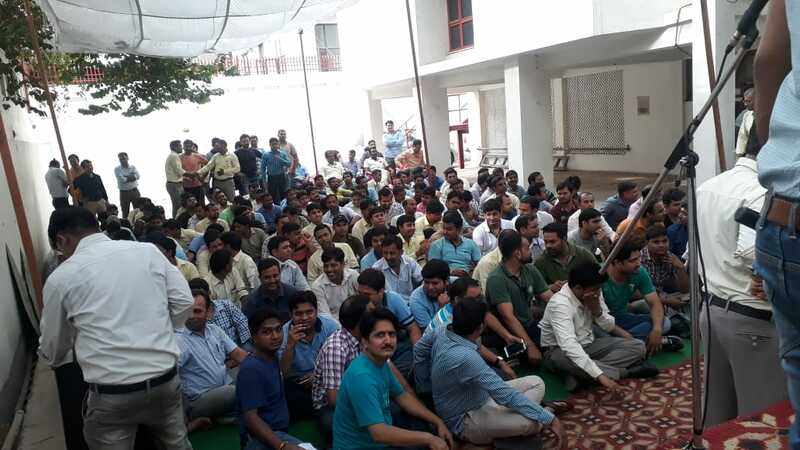 why employees has to pay for this, which was due to irregularities by the Delhi Metro management. 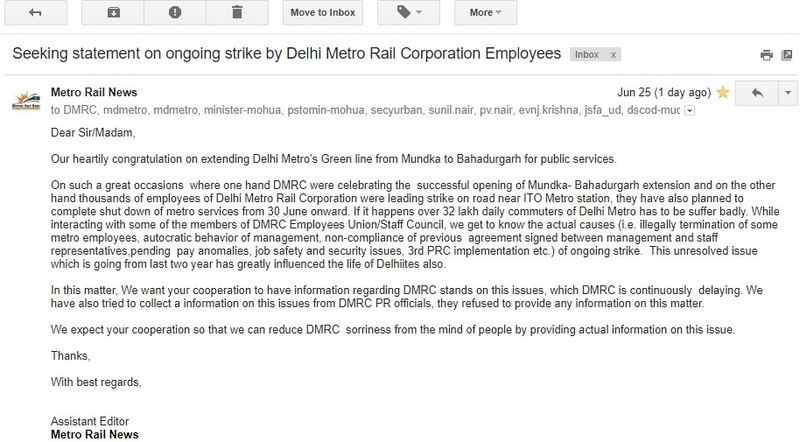 Before starting the strike DMRCEU has already submitted 15 day notice to Delhi Metro Management which is going to end by 29th June. 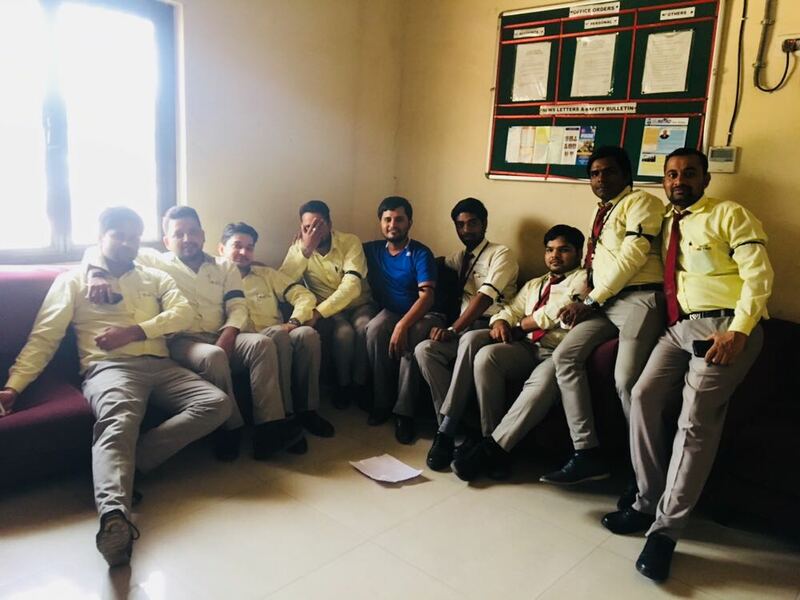 All employees of DMRC are working hard to make the DMRC world class. And in return till now they have not received anything other than disappointment from DMRC. In DMRC on the one hand executive employees are enjoying the great facility while non-executive employees are suffering. We are demanding just what we deserve, for what we are working; we are fighting for our right. And if it not happens we will completely shut down the metro services from 30 June onwards. 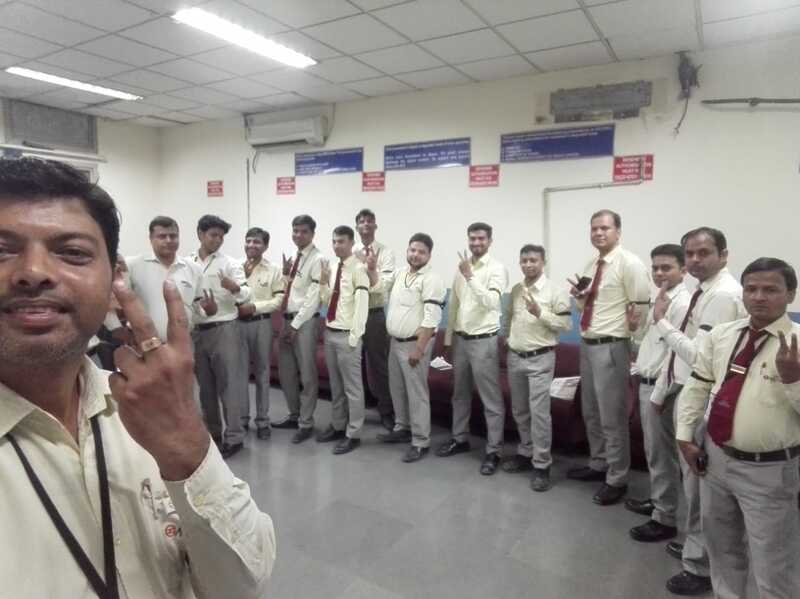 “All employees of DMRC are working hard to make the DMRC world class. And in return till now they have not received anything other than disappointment from DMRC. 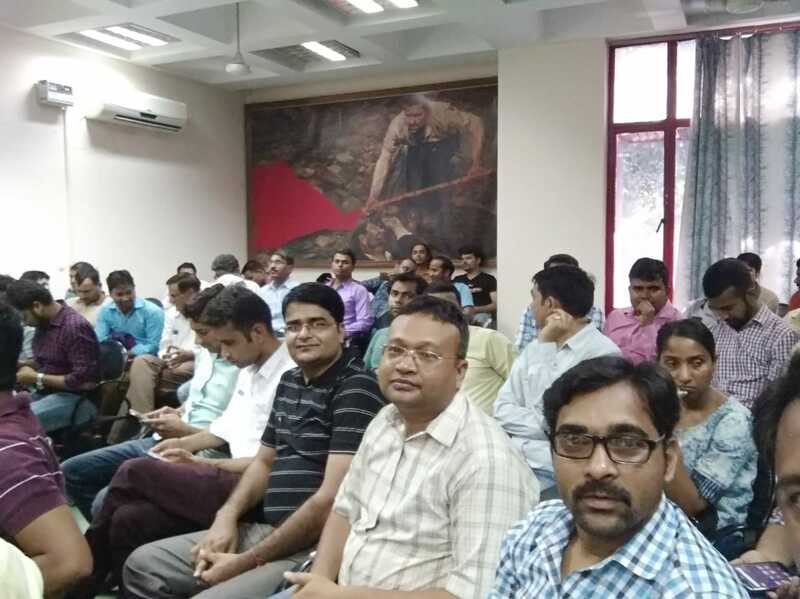 In DMRC on the one hand executive employees are enjoying the great facility while non-executive employees are suffering. We are demanding just what we deserve, for what we are working; we are fighting for our right. And if it not happens we will completely shut down the metro services from 30 June onward”, stated in statement issued by DMRC Employees Union. To know the views of DMRC, when metro rail news team tries to contact with DMRC PR official, they refused to provide any information on this issues. 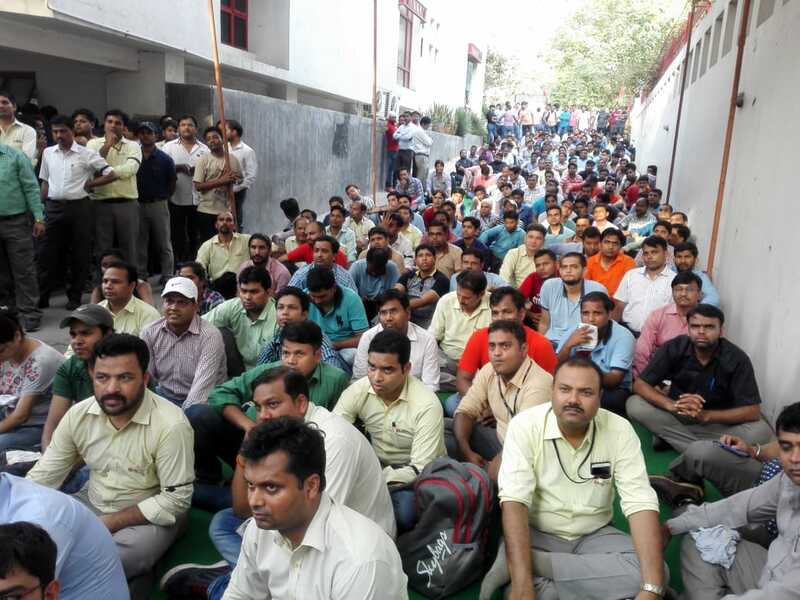 Later metro rail news team has emailed a query to higher authorities of DMRC regarding this issues to know DMRC stand on ongoing strike by DMRC Employees Union since 19 June but till time of posting this news story no response has been given by the authorities. At present DMRC is covering a distance of 288 km metro rail network along with 208 stations in Delhi-NCR. To operate and maintain the entire DMRC operations over 13000 employees working there. The average daily ridership of Delhi Metro is about 32 lakh. All this may get affect if strike does not stop.